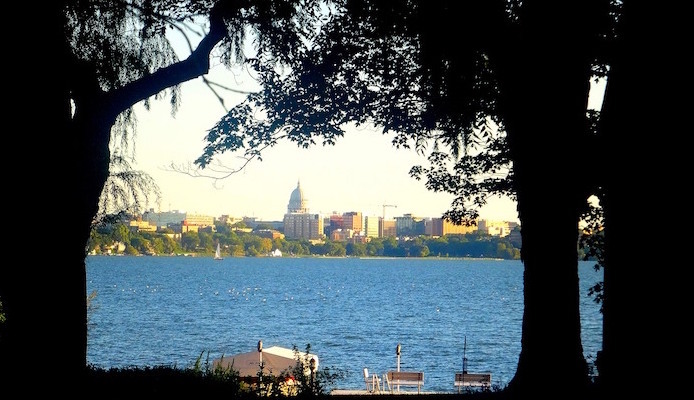 A hilly route through one of Madison’s nicest neighborhoods, this run is a good quick tour of Lake Mendota. Start out on Lakewood Boulevard and head north along the waterfront of Dengel Bay. You’ll pass through Beach Park and continue north until Lakewood Boulevard ends. Take a left onto Del Mar to head back towards the water and loop south on Farwell Drive. After taking you past some regal lakefront homes, this street will shoot you back onto Lakewood Boulevard where you can check out the Governor’s Mansion before you complete your route in Johnson Park. Add-On: For a longer run, connect with our Yahara Parkway route, which is 1 mile west at Tenney Park Rink. Use Sherman Ave.